Whether you are a first time home buyer or not, a savvy investor or just starting to acquire rental properties, Evolve Real Estate can guide you in this complicated process. Whatever your situation may be, we understand that buying real estate is probably the single largest and most important financial decision you will ever make. Finding the right Realtor in Denver for such a big purchase is an important step. We promise to listen to all your needs and wants and work hard for your interests. At Evolve, our Realtors have helped hundreds of buyers realize their homeownership dream and have helped investors find profitable rental properties in the Denver area. We know the market, different Denver Metro neighborhoods, the school districts and we are passionate about finding the perfect match for your needs. When we do find that perfect home or investment property, we will put our negotiation skills to work in order to get you the best value. 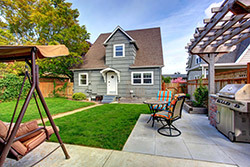 We are very experienced in matching relocating clients with great homes as well. Moving across country can be challenging, but we will do our best to find you a home in the neighborhood you will love. We can help find you a suitable rental as well, if you need time to adjust to a new area before making the big commitment. Our Evolve Realtors are very knowledgeable in the Denver rental market and can find and analyze potential investment properties. For our investors, we perform in depth profit/loss analysis to determine the best possible scenario. We can even help manage those rentals or just place tenants in them. Whatever your real estate buying needs may be, we have the experience, the drive and the tools to make it a successful experience. If you wish to learn more about our buyer agency services or interested in finding profitable investment properties, please submit the form below. There is no obligation and all the information you provide will be kept strictly confidential. Marina has helped us multiple times whether that is from buying our current house, selling condos, selling our old house, or providing background checks for renters. She is excellent in dealing with the entire real estate process and helping you understand what you’re wanting. I’d definitely recommend Marina for help in determining your needs.